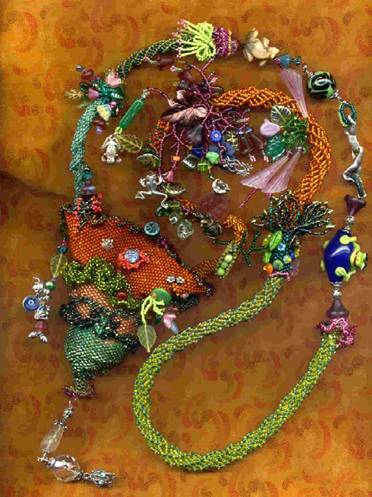 Below are brief descriptions of Beautiful Artwork you can wear. You can preview the level of difficulty for each pattern and pricing information on the individual page. There may be links to photos of more than one sample or prior class photos on the individual page. Click on the thumbnail picture or the title to go to the details for each pattern, to see the complexity of the pattern, and the pattern price and ordering information. Doll Pattern Index is found by clicking here. 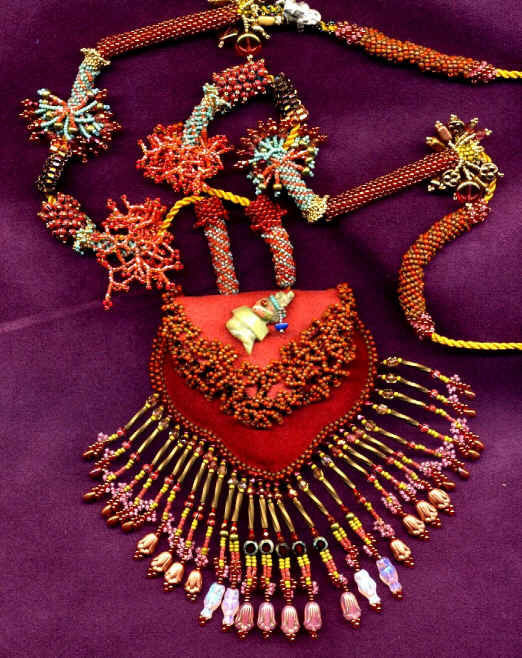 Here is an opportunity for you to tell a story of your life, or a certain momentous period in your life, a story of your family history or whatever story you wish to relate through the art of beading. 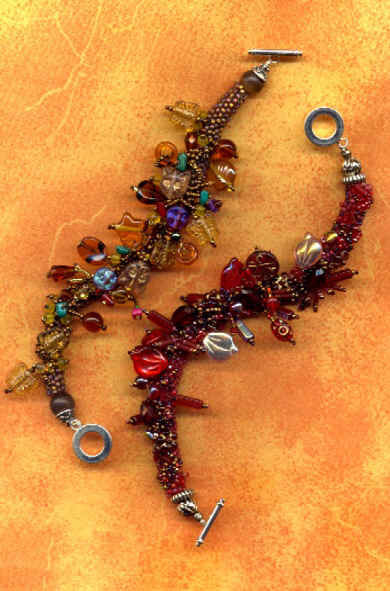 This fabulously bead embellished amulet necklace will be the envy of all who see it. 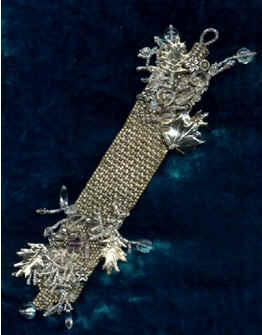 It is as beautiful to wear as it will be on display in a special place in your home when not being worn. It is truly Art to Wear. You will learn the fun and versatile bead weaving technique that requires no loom to create this fabulous bracelet which is Marcia’s original design. You will be able to make two different styles of Bead encrusted Bangle. One style is made with a toggle clasp, the other a circular bangle. 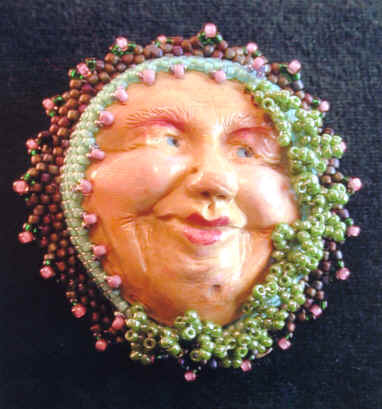 Inspire admiration and envy by all those who see this unique and beautifully bead embellished, painted and hand sculpted face pin. This beautiful bracelet is an original design by Marcia Acker-Missal. It is inspired by the Art Deco period of design.